An electrical print is a technical drawing that shows how the electrical system in a building is going to be constructed and how electrical components will be connected to get a certain function. The print is like a simple roadmap that shows where components are located, the connections, and the wire paths between the components. These components include wires, light switches, receptacles, wires, light fixtures and any other stuff that will be electrically powered. Should there be a problem with the building’s electrical system, the electrical print will help maintenance technicians to troubleshoot and fix the problem. Many individuals find it difficult to read and understand electrical blueprints, mainly because the prints just show lines and symbols. Each electronic component has a symbol and the connection between specific component terminals is represented by the lines. In some cases, a line can run between components without being connected to any of the components. The symbols do not look anything like the components they represent and the lines may not resemble the actual physical layout of the components. It can be easy to look up the diagram but wrapping your head around the actual meaning is a little harder. You may know that the inverter is represented by a triangular symbol but if you don’t know what follows after that, you don’t really have an idea of how the system is structured. Details like wire or cable specifications belong elsewhere in a separate documentation. To read electrical blueprints one must understand the flow of the circuit, identify critical nodes, understand Ohm’s Law, and have a deep comprehension of the National Electrical Code. As such, interpreting the plans and understanding what the prints are saying can be difficult to those who lack comprehensive print reading training. Installation of electronic systems is less complicated than the maintenance part of it. Maintaining electrical equipment and systems involves troubleshooting problems and repairing broken equipment. It can be difficult for a maintenance worker to understand where different components are located, especially in large buildings and some of the affected components are difficult to reach. 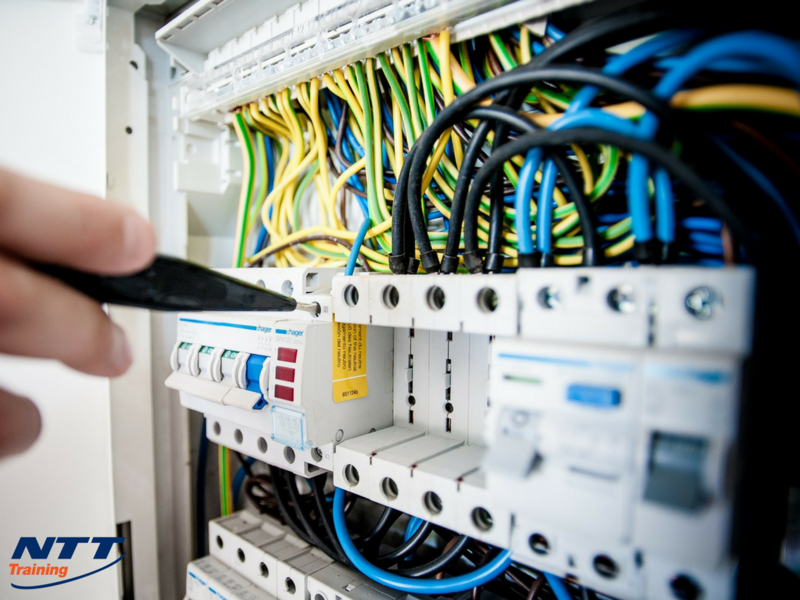 Maintenance work may involve fixing or replacing major parts, motors, control systems, light fixtures, and other items in the electrical system. In diagnosing problems and ensuring that all components are working properly, maintenance workers are required to understand the print down to the last detail in order to follow the instructions exactly and proficiently. This means understanding locations of circuits and outlets and the correlation that exists. Inability of the maintenance worker to appropriately read electrical prints can bring frustrations. Errant sparks and electrical fires become major risks. It can also result in the development of a new issue and can bring done the whole electrical system, putting occupants of the building at risk of having elevators and HVAC units become useless. If this happens, you have to source for another professional to figure out what the problem is, and then fix it. This can cost valuable resources and time. All that wastage could have been avoided if the maintenance worker had been able to accurately read the electrical prints in the first place. This increased responsibility is one of the major reasons why comprehensive training in this area is crucial. It’s not a good idea to have workers learn on the job or operate the system without enough training in the proper way to read electrical prints. This puts your business and the lives of everyone operating in the building at risk. Do Your Employees Need Training in Electrical Print Reading? If you want your maintenance workers to know the proper way to read electrical prints, consider NTT’s Electrical Print Reading Seminar. To learn more and set up a training seminar, contact us today.